A joint appeal from European Communist and Workers' Parties for the upcoming EP elections. 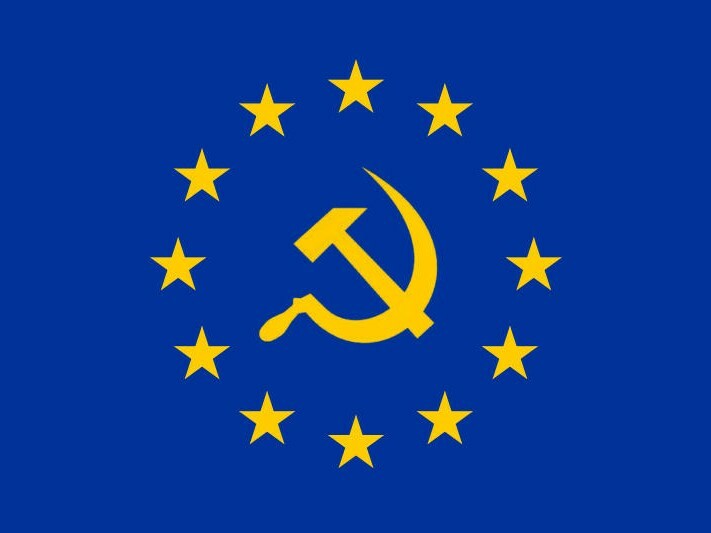 As the European Elections of May 2019 approach, a joint appeal is issued by a number of Communist and Workers' Parties from Europe. The declaration boldly underlines that the European Union functions as a European imperialist center and declares that any expectation for "reforming" or "democratizing" this institution in a pro-people direction has been proved to be futile. Underscore that the capital’s offensive is unitary and has to do with all the member-states of the EU, as well as with the rest of the states that are situated in the European continent and on these grounds it is necessary to strengthen the common struggle of the CP’s and of the peoples, to develop solidarity with the struggle of the workers across the whole Europe and worldwide. Stress that there is another way of development for the peoples. The alternative of a different Europe emerges out of the workers’ struggle; a Europe of the prosperity of the peoples, of social progress, of democratic rights, of equal cooperation, of peace, of socialism. Believe in the right of each people to sovereignly choose its way of development, including the right to disengage itself from the EU, NATO and every other imperialist organization; to struggle for the socialist path of development. -Onward for a Europe of the prosperity of the peoples, of peace, social justice and democratic rights, of socialism! See the link for full statement and the updated list of signatories.